Victory Windows & Conservatories is your trusted double glazing company in Petersfield and Liss. 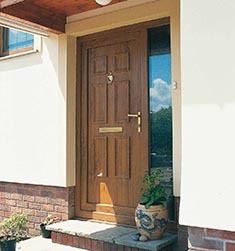 Our Windows and Doors installation are of great quality while still offering affordable prices. So if you’re thinking of having a conservatory built or double glazing repaired or installed call on 02392 666955 or Email Us today. We offer a full comprehensive range of windows, from casement and cottage to sash and tilt and turn. Our windows will give you that added style, whether you’re after a classic, characterful or contemporary look. Character and style often come at a price when it comes to double glazing, but not with Victory Windows (Hampshire). All our double glazing windows in Petersfield, Hampshire and Surrey are designed to be easy maintenance and comes with a reasonable price, you can avoid super expensive price usually associated with double glazing quotation in Hampshire, Surrey and other nearby locations. With all the benefits of modern uPVC, our double glazing customers in Petersfield can expect to enjoy the way our Grade "A" Energy Rated fully-sealed units to help keep your home warmer, quieter and draught-free, and at the same time as reducing your energy costs. Get your Free On-line Quote today or Call 02392 666955 or email info@victorywindows.co.uk for your tailored local double glazing quote.